is one of the most sought after of Irish Whiskies to hit the market in recent years. 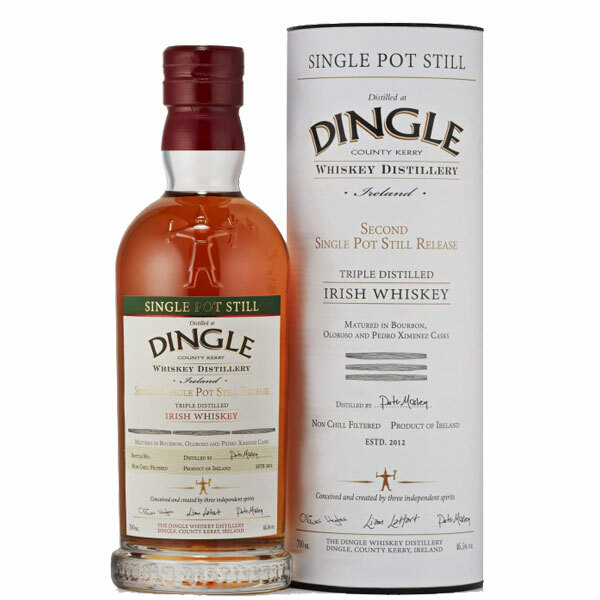 Made in the outstanding beauty of Dingle, Co. Kerry on Ireland’s South Western tip, Dingle Distillery was setup by 3 independent spirits with the purpose of reigniting the aritisan distiller. Of course, Dingle is small. Their output of whiskey is 2 casks per day. They take the best Irish malted barley and make pure pot still malt whiskey. Then they put it in casks and let the mild, moist, unique Dingle air do the rest. No whiskey in Scotland or Ireland experiences a maturation process like that. Dingle is definitely Dingle. The first Dingle Whiskey was released on 19th December 2015 as Cask No.2. This was one of four casks filled on the day, three years and a day previous.